The magic of our idyllic island, sugar white sands and warm clear waters may entice you to to laze away endless days in paradise. Recognized as a top destination for sustainable tourism, Bonaire’s pristine natural beauty also offers one-of-kind island adventures. Apart from being the number one shore diving destination in the Caribbean, the island is famous for its snorkeling and Flamingo Estuaries. Embark on a variety of oceanfront fun from kite surfing, windsurfing and snorkeling to kayaking the mangroves, bone-fishing Lac Bay lagoon or exploring the nearby island of Klein Bonaire. 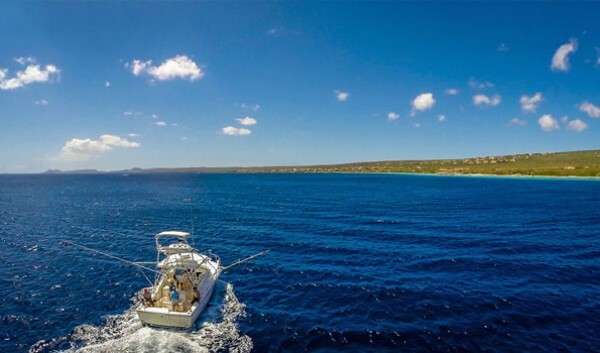 Search the seas for a swordfish, or battle it out with a legendary big blue Marlin on a deep sea fishing charter available out of the Harbour Village Marina. Allow our dive concierge to arrange a fishing charter adventure of your dreams. 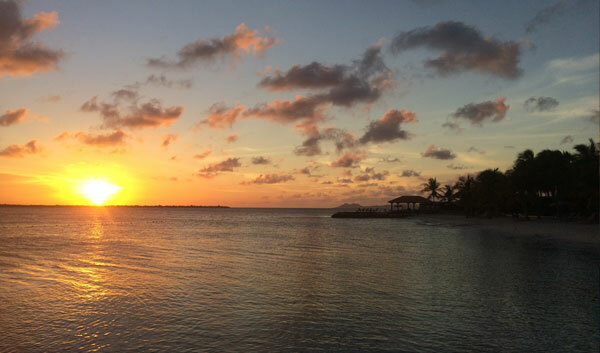 Great Adventures Sunset Cruises offer a blissful way to tour the island's exquisite coastline and toast a stunning Bonaire sunset over champagne, wine or beers on their Wellcraft 29' power boat. On this hour-long tour, you’ll also dine on light hors-d'oeuvres and canapés prepared by our talented chefs at La Balandra. 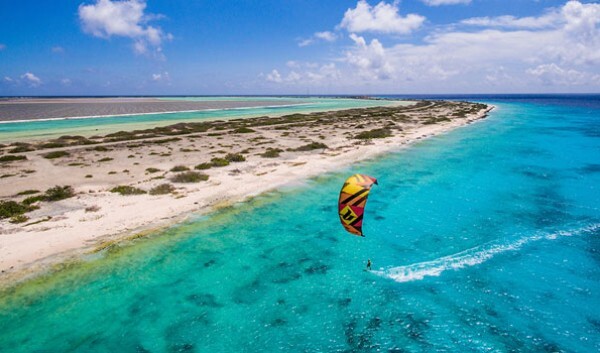 Bonaire’s cool Caribbean trade winds provide the right environment for kiteboarding almost 365 days a year. Follow the brightly coloured kites soaring through the air to the kiteboarding area located on the south-west tip of Bonaire. Kayaking the calm waters of Bonaire is a fantastic way to enjoy the beauty of the island. 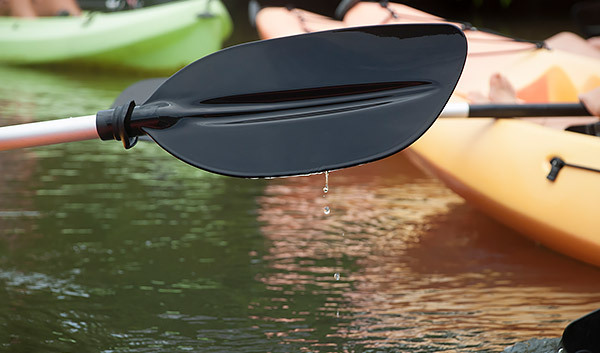 Rent a kayak at Lac Bay lagoon and explore this watery nursery teeming with marine life and mangroves that line the shores. Borrow a kayak or take a guided tour from Great Adventures Bonaire to paddle along the coast or visit the small island of Klein Bonaire. 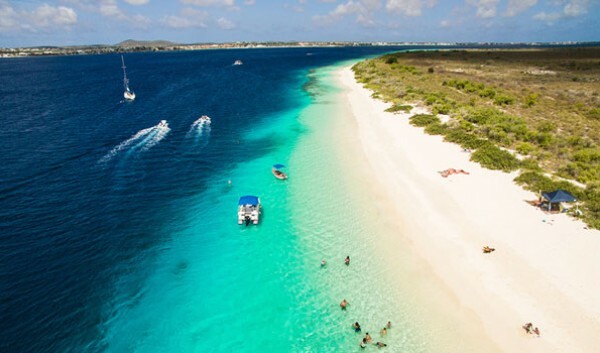 Take a day to explore the pristine wilderness of Klein Bonaire, a small uninhabited island located just off the coast of Bonaire. Protected as part of the Bonaire National Marine Park, this 1500-acre island is a home to turtle nesting grounds and is revered as a natural wildlife sanctuary.